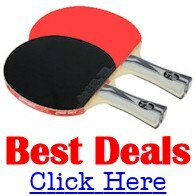 Why are chinese table tennis players the best in the world? It's well known that Chinese table tennis players are the best in the world and with so many players at the top of the men's World Rankings, the situation isn't about to change any time soon. China dominate the top of the men's World Rankings with Ma Long, Fan Zhendong, Xu Xin and Lin Gaoyuan all ranked in the world's top ten. Meanwhile, the female chinese table tennis players are just as dominant in the women's World Rankings. Zhu Yuling, Chen Meng, Ding Ning, Liu Shiwen, Wang Manyu and Chen Xingtong are all in the top ten, with many more not far behind. Many chinese players leave their native country to play their table tennis in other countries, notably within Europe, although some have moved to Australia or the USA. A prime example of a player moving to Europe was Chen Xinhua. 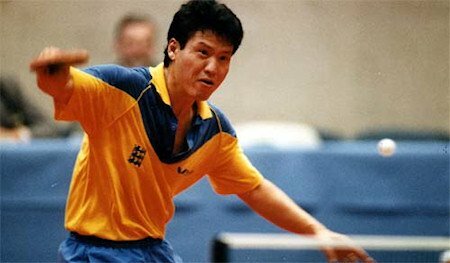 He was a world class player who represented China in the 1985 and 1987 World Championships when he won a gold medal in the team event. But he later moved to the UK and played for England for many years during the 1990s. Other players also move abroad to take up coaching roles, with European countries such as Spain and Austria quick to welcome such talent to their shores. But there are many other chinese players who've emigrated because they're unable to break into the chinese national team, but know that they have the ability to successfully compete at an international level. By moving to another country they could, after a qualifying period, represent a different country in World Championships and Olympic Games. In 2008, the International Table Tennis Federation changed the rules regarding players representing other countries. This rule change was made to stop players from China or other countries, taking international places away from native born players. The hope is that the rest of world will bring their players up to the standard of the Chinese, and challenge them for world honours. The chinese are renowned for their meticulous preparation, intense training methods and superior technical abilities. Many top European players - Stellan Bengtsson, Jan-Ove Waldner, Jorgen Persson and Werner Schlager - all recognised that if they wanted to become world class players, they needed to train with the top chinese players. Their foresight was of course richly rewarded, as they each became World Champion. Subsequently, many European players such as Timo Boll and Michael Maze have followed in their footsteps as they endeavour to repeat their success.